Take all the space programs and the satellites and the celestial conquests, this lad still thinks of Laika, the first animal to orbit the earth. Picked from the streets of Moscow in 1957, the then three-year-old Laika trusted humans, heart-breaking as it is – the caretakers she so lovingly trusted had different plans for her. Many a time I wonder if Laika had a choice. If only someone ever asked her if she wanted to be the first dog in space? What if she was content with her place on Earth. 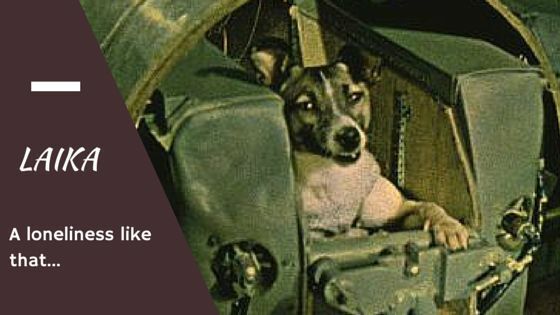 Before she died of stress and overheating – alone and scared aboard Sputnik 2, Laika must have wondered where she was. Unaware as to why she felt weightless and whether she would see her human again, her terrorized heart beating at thrice its normal rate must have looked for hope. Laika remains etched in our hearts as the face of the ethical debate over experimenting on the mute for scientific advancement. Why not send someone who could provide consent – human volunteers? 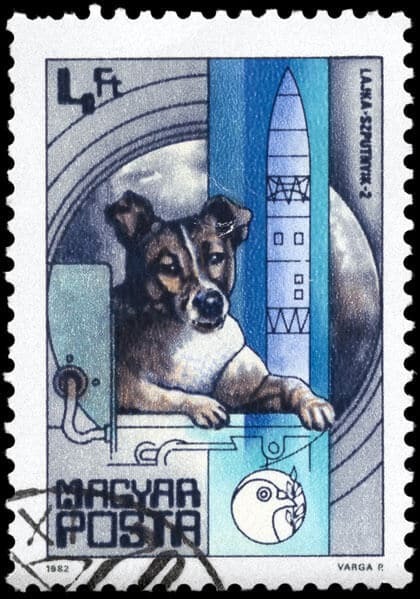 Laika, immortalized in a postage stamp. Undergirding my mind off this train of thoughts, this I could never do. 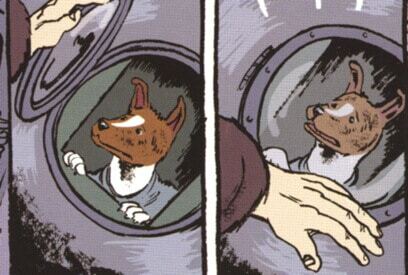 The alternative ending to Nick Abadzis’s graphic novel Laika heralds hope that someday our cries of Laika come home would be answered. Perhaps this is why I look at the stars. Made me cry. I never do. Have not since 1966. Somewhere up above, in a cosmic distance, Laika felt thy condolence. Thanks Amit. Beautiful article man, makes me super sad though. Feeling sad…feeling bad for poor soul…. hard to even imagine the thoughts coming in her mind while was suffering all alone in unknown world and maybe calling her care taker in pain but all in vain…….We are sorry Laika for done this to u. may u try to forgive us. Or better yet.. why not use one of the hardened criminals, having a leisure at our expense in those jails..
To achieve our feats, we always have put others in trouble. Abhishek, atleast you wrote an article to tell people about this. Laika, sorry won’t mean anything here. We cannot imagine what you must have gone through alone. Apologies on behalf of the entire mankind. Previous Previous post: Kerala No country for dogs?